Coming to AIU has been an absolutely phenomenal experience. 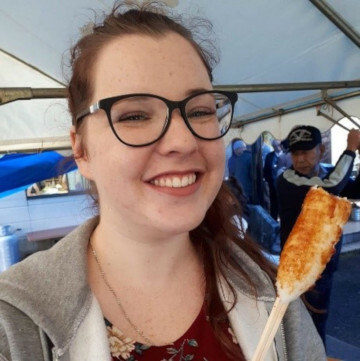 This university has allowed me to not only interact with Japanese students through class work and club activities but also in the wider community are Akita. I have been able to assist with English lessons in schools from all over the region as well as working with some fellow AIU students about to go abroad to my home country of Australia. 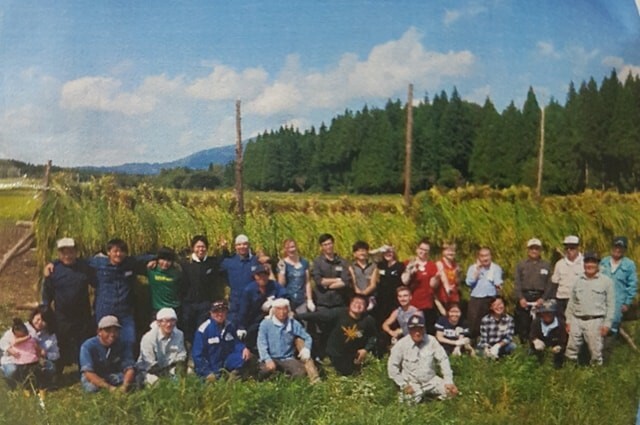 However, my all-time favourite activity that I was lucky enough to experience was to harvest rice with Kohiradai Group and take part in the subsequent Harvest Festival. On the 23rd of September, eight international students, including myself, and two Japanese students went to a local farming area where we were taught how to harvest rice by hand with the local farmers and their families. Although they did not speak much English, it didn’t stop me from enjoying the day and learning a whole new skill. Hard work transcends language barriers and these people were so amazingly kind, welcoming and patient. 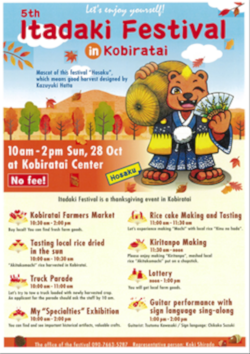 A few weeks later, after the rice was dried and packaged, we were invited back again for the Itadaki Festival with the Kohiradai group. Here we were taught how to pound the rice into mochi which is served with sugar and sesame or red bean paste. We also were taught how to make Tanpo which is rice that is moulded onto a stick. Tanpo and Kiritanpo are Akita specialties. We were also treated to some campfire roasted sweet potatoes. For lunch, we were then served some Kiritanpo Nabe which was delicious. For the afternoon activities of the festival, we were treated to some local musical talent as well as a performance of Japanese sign language (Nihon Shuwa). The best part about the harvest festival was seeing all the local community combining together to enjoy all of the food that their combined efforts helped to create. It was a very special day and I was extremely grateful to have been welcomed so warmly by this community. Seeing the process from the harvesting of the rice to the being able to make delicious food as well as the amazing people who grow this food will be something I will never forget. Thank you AIU for giving me these amazing experiences! !